Does anyone here play Super Smash Bros? Yeah, your little brother already posted a thread like this Interested to here about Super Smash Bros. Universe though. I don't have a Wii U, but I will be interested seeing what characters and stages are in it, and how the gameplay works. And yes it should be quite epic. 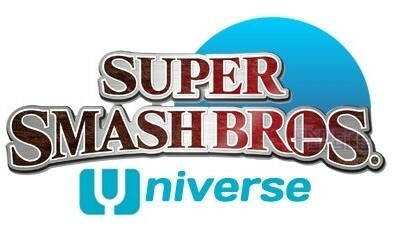 All the more reason I need a Wii U.
I'm excited for universe. I've got Brawl, and play it on occasion. Do you even play online? Universe will be cool, but I wouldnt' say "coming soon." It's probably a couple years away. Anyway I played Melee a ton and had some good fun with Brawl. Haven't played it in ages, though. Theres gonna be a trailer at E3 this year. And Brawl had a trailer at E3 in 06 and it came out in 08. So I'm thinking late 2014 at the earliest. Mid 2015 at latest. Fingers crossed that they reveal Mega Man at E3 like they did Snake last time. >_> I think it was at E3, I don't remember anymore. But that was awesome. They better freaking have Megaman in SSB4!! He was supposed to be in Brawl but he was cut at the last second, he had a Kirby hat and everything. Namco is helping develop it so it would be sort of cool to have Pac-man as well. I'm not like... a big Pac-man fan but obviously he's an icon in gaming. But seriously he would probably fit right in in SSB. Yeah, it could work easily enough. IDK who that is, and I'm pretty sure Sakurai's rule for SSB is that all the characters that appear in the game have to have made an appearance on a Nintendo console, not just a new video game movie, but I guess anythings possible. It would be even more interesting to to see Ralph and other characters exclusive Wreck-It-Ralph. I never had any of those. I don't think Ralph would be very good. How would he even work? What would his attacks be? It's like some people want Ridley from Metroid, I don't think he'd be very good either.